We hope this page does not become a contest for the best city plan, but more of an illustration of the wide variety of city or neighborhood plans that might be considered great plans. This section of our website features stories and photos submitted by our visitors and then reviewed for appropriateness by our editors. Ideally, tell us about a plan that is actually being implemented, or maybe one that already is completed! How did politics, implementation considerations, or construction alter the plan? Did it anticipate what could go wrong? In retrospect, did it provide enough flexibility? What makes the plan good? Is the success of this city plan partly attributable to the process by which it was derived, or was it strictly a product of professional genius? Is it specific, is it vague, is it policy-centered, or is it implementation-heavy? How is the length and level of detail in the plan affecting your judgment? Does the format of the plan include goals, objectives, and policies, or does it simply consist of simple declarative sentences? 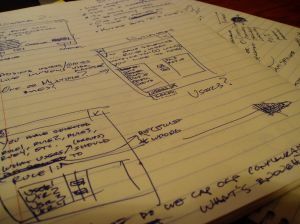 Maybe your ideal plan is simply a diagram or a rendering, so tell us why you find it compelling. As you can see if you read elsewhere on this website, we especially like short, direct, gutsy, and principled plans that reflect lots of thought rather than reflexive data collection that does not seem to contribute to the final product. However, many great plans are based on extensive and literal use of the classic planning process, in which data and alternative collection, study, analysis, and ranking are accumulated. Below is a form where you can give us a short--we emphasize short--narrative about why this is one of the best city plans and what we all can learn from it. Also you can send some photos or graphics of the finished product if you wish. It should be interesting to read the results. It is too rare that those who do community and city planning actually are subject to validation from users and citizens. So this is your time, regardless of where you stand on the amateur to professional spectrum, to talk about the best city plan and to justify your opinion. Do you have an opinion about the best city plan you have seen? (When we say city, we mean community, neighborhood, or region, too.) Maybe you wrote it. (Laughter). Share your story, telling us why this plan is "the best." Probably people would like to know how you went about arriving at the plan, how much citizen input was involved, whether you met resistance, how you dealt with complexities and missing data, how those in power responded, and other such common elements of planning. If we choose to publish your submittal (and we will, if our readers can understand it), you will have a web page you can use with your social media or other publicity. Below the form we show links to previously published pages in this section. As you can see, there is a lot of room for you to stand out! Would You Like to Promote Your City Plan? Do you have an opinion about the best city plan you've seen? (When we say city, we mean community, neighborhood, or region, too.) Maybe you wrote it. LOL. Share your story, telling us why this plan is "the best." Your story will appear on a Web page edited for grammar, spelling, and so forth. Since most people scan Web pages, include your best thoughts in your first paragraph. Click below for more suggestions about the best city plan.